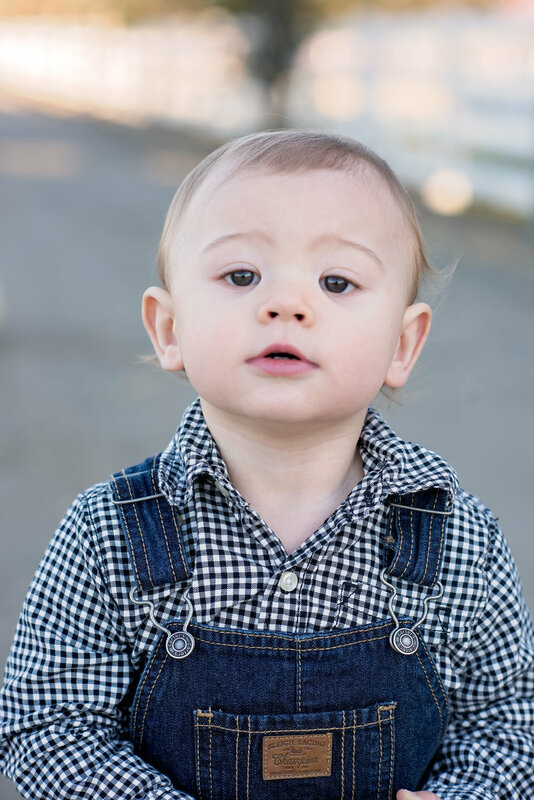 Monterey County Photographer, First Birthday | Hank is One! I love love love Birthdays. I have been known to declare myself a birthday week, and sometimes even a birthday month! This makes me extra blessed that I get to share these special days with my mini clients. 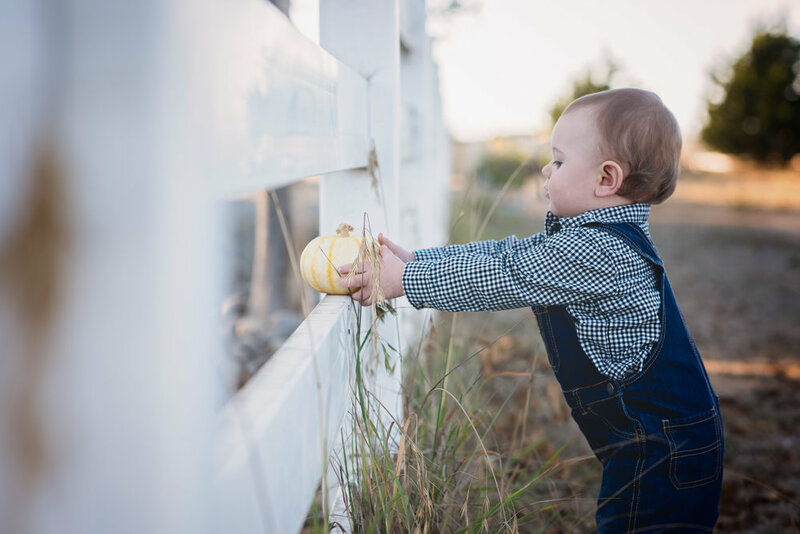 Planning 1st Birthday sessions are fun for me because I get to be creative with my decor, make special pieces and build sets with my favorite props. 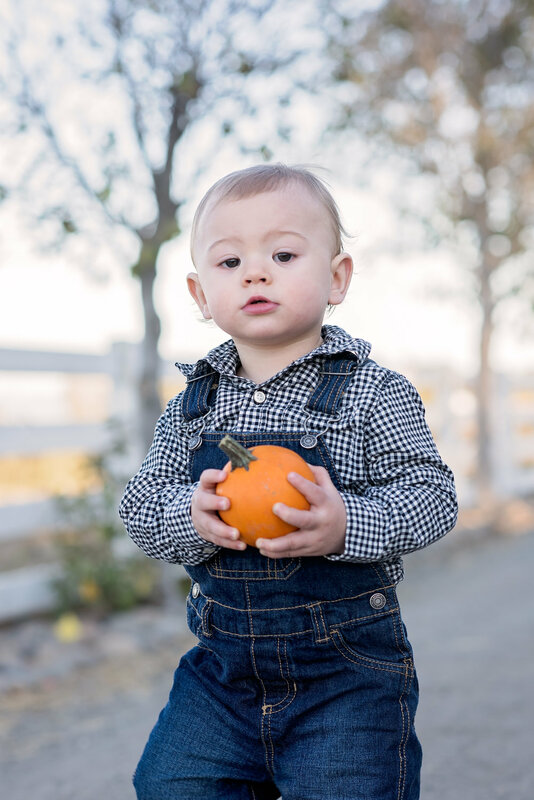 For this birthday session with little Hank, I got to see him explore my Favorite Pumpkin patch, Borchard Farms in Salinas. 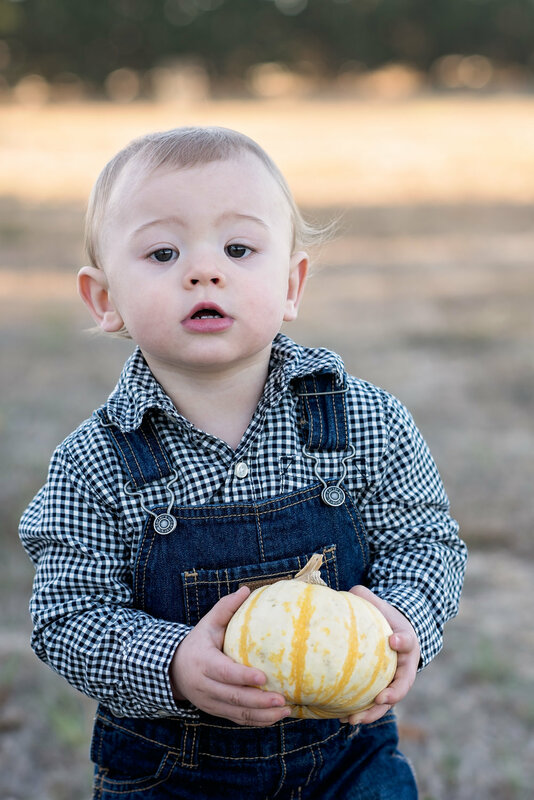 Hank looked the part of the perfect little pumpkin farmer in his overalls! 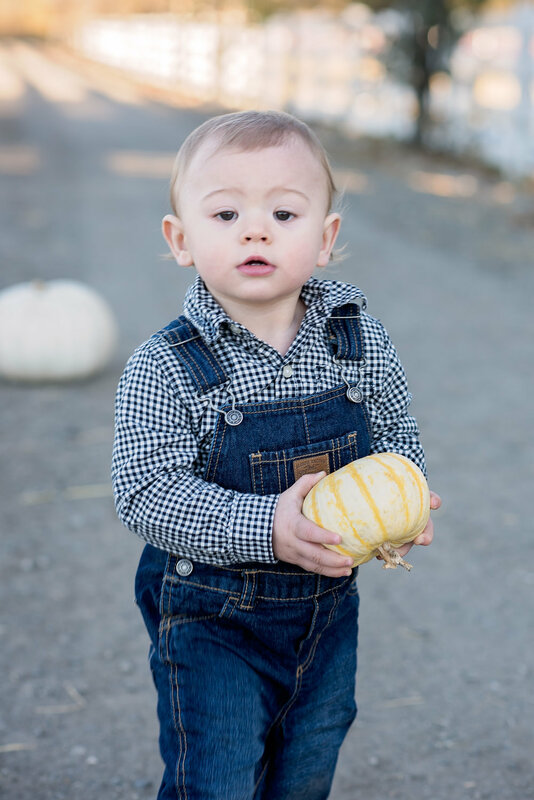 These photos of Hank on his pumpkin expedition make me smile every time that I see them, I hope they bring a smile to yours also! A happiest of Birthday to you Little Man! 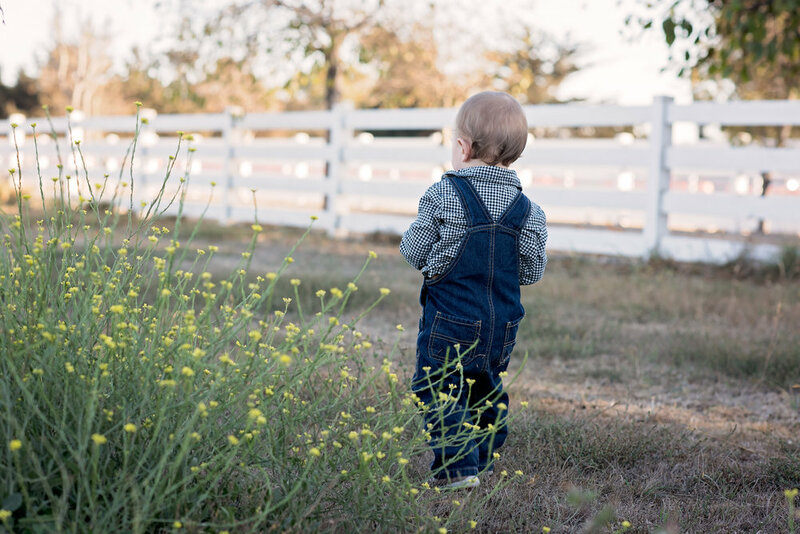 We can't wait to see you grow! Make sure to subscribe to Sheryl Bjorn Photography's Blog so you don't miss out on all the fun things that are happening in Monterey!